Killian Bell (Writer, Cult of Android): So, Luke, I’ve been thinking about this new 4K iMac. When the rumors promised us it was coming, I got a little excited about the prospect of an Ultra HD display inside a beastly little all-in-one. I don’t need a new desktop, and I knew I wouldn’t be able to afford it — but I couldn’t help but ponder the possibility of getting one anyway. That was until I saw its price tag and specifications. Now I feel like anyone who buys the 4K iMac is slightly insane, and I’m disappointed that Apple would sell a machine with so many drawbacks at such a crazy price. Let me explain. The biggest issue I have is that Apple decided it would be fair to give customers paying $1,499 for a new computer a 5,400 rpm hard drive as standard. Sure, it has 1TB of storage, but it’s going to be a massive bottleneck in an otherwise powerful machine. What is this? 1999? To upgrade to a solid-state hard drive, which is what you should get with a $1,500 computer, it’s an extra $200 for 256GB of storage, or $500 for 512GB. Apple offers the Fusion Drive, too, which is cheaper — but it has even cut corners with that, reducing the size of the solid-state component in the 1TB option ($100) from 128GB to just 24GB. The new iMac is a beauty, but you shouldn’t buy one (Killian says). Then there’s the graphics. 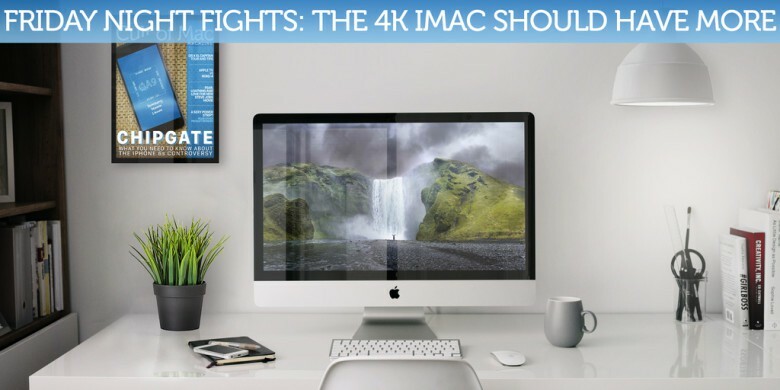 Intel’s integrated graphics have certainly come a long way, but there are going to be limitations with the Iris Pro Graphics 6000 in the 4K iMac — particularly with all those pixels to power. Forget playing the latest games at high settings. You can’t even add a dedicated graphics chip if you want to, because Apple doesn’t provide that option. Now, I know the iMac is a beautiful machine, and I know part of the appeal about Apple computers is that they “just work” out of the box. But do you realize that with $1,500, you could build an insanely powerful PC with a faster processor, dedicated graphics, faster storage, more RAM, and add a 4K monitor and still have change left over? I understand this means building your own machine, and to some people that’s kind of scary. But it’s actually much simpler than it looks, and you get a whole lot more for your money. To me, the 4K iMac just seems far too overpriced for what it is. Care to defend it, fanboy? 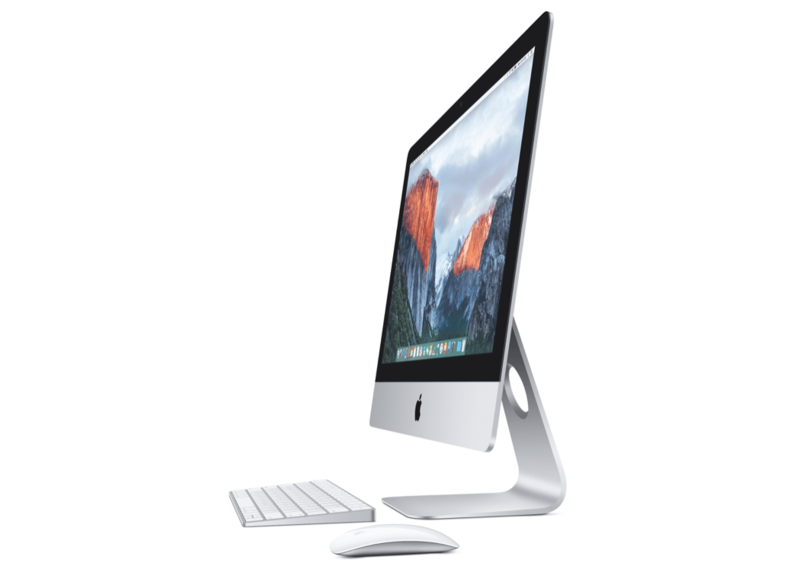 The 4K iMac comes with Apple’s new Magic Mouse 2 and Magic Keyboard. Luke Dormehl (Writer, Cult of Mac): Here’s the problem, Killian. You’re not normal. Now I’m not saying you’re a special unique snowflake, or in any way impugning your irrational love of Samsung, but simply pointing out that, when it comes to computers, you don’t represent the general public. 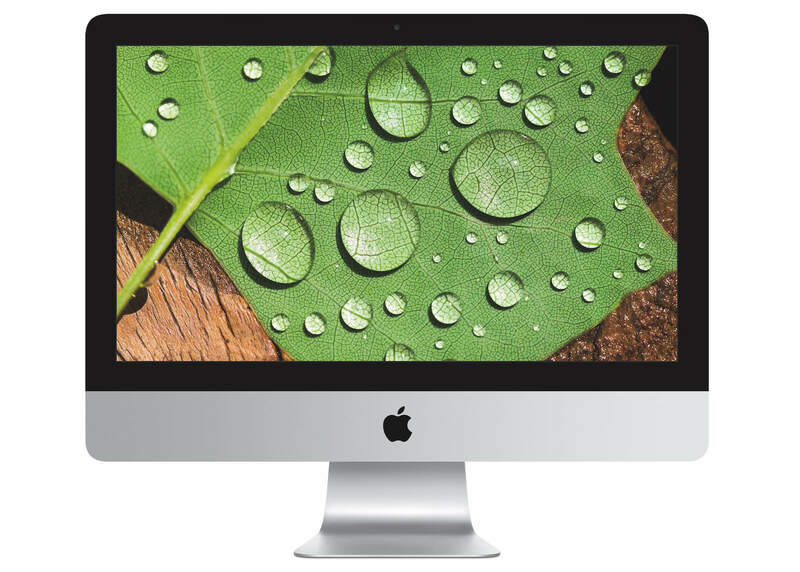 The 4K Retina iMac is, essentially, a high-resolution Mac designed for the masses. It’s not cheap, but you get a much larger display than you do with, say, a 13-inch Retina MacBook Pro. At the same time, you don’t have to worry about a computer that takes over the room in the same way the 27-inch 5K iMac does. It’s a starter high-end Mac — and it’s good for what it is. Not everyone is going to want to build their own machine. My dad recently retired and, as someone who was pretty much computer illiterate, he now owns a Mac. You can take it out of the box, set it up in less than 15 minutes and know that it’s going to work. Apple support is great, and there’s no concern whatsoever that the latest update is going to break his machine. He doesn’t need to spend hours reading obscure Internet forums to find out if El Capitan needs X tweak or Y driver just to do what most people expect a computer to do as standard. In a way, we’re arguing at cross-purposes here, because you’re approaching this from the view of a power user on a budget. The 4K iMac isn’t the greatest computer Apple has ever made, but it’s gorgeous, reliable, and doesn’t really carry too many downsides. The price is definitely a factor, but I’d argue that you get what you pay for, and I’d be surprised if you can claim after years of writing about Apple that you’re shocked at it not being the cheapest option around. Killian: You certainly make good points, Luke, but I’m not backing down — so let’s turn this over to the readers now. I know I’m asking for trouble by throwing these opinions on Cult of Mac, but I want to know what you think. Could you really be happy with a $1,500 computer that has a 5,400 rpm hard drive? One other thing: You may have noticed we changed the format of Friday Night Fights this week, so that the conversation doesn’t go back and forth between Luke and I too much. Is it better this way, or do you prefer the more conversational format we were using before?